In Northern Ireland, wild deer are protected by law within the Wildlife (NI) Order 1985 (as amended), but sadly the introduction of the law failed to prevent to continuation of poaching in rural areas throughout the country. This is usually done either with the use of hunting dogs, or by shooting at night under spotlight, also known as lamping; the latter method is more common, but both are considered to be unnecessarily cruel and inhumane. Aside from the obvious pain inflicted upon the animal (poachers are more likely to injure an animal than achieve a clean kill, resulting in unnecessary suffering as the animal slowly starves or bleeds to death, according to the Police Service of Northern Ireland), the FSA are now warning that the practice “poses a risk to the public health” as poachers attempt to get the meat into food supply chains for financial gain. With a carcass bringing in anywhere between £70 and £200, depending on weight and species, the incentive for poachers is clear; the risk posed by the resulting meat may be less so. According to the FSA’s food fraud expert, Ed McDonald, the problem stems from the way in which the carcass is butchered and handled following a successful kill. The deer are often shot and butchered on site, before being left hanging from a tree overnight so that the poachers can return to collect it the next day with no gun in the vehicle, thereby lessening the chance of police interference. 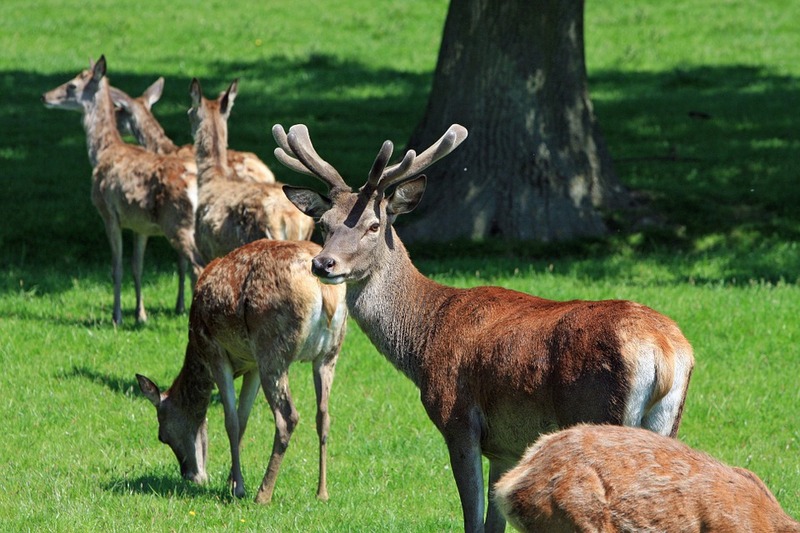 At no point is there any guarantee that the resulting venison has been handled, stored or transported hygienically, leading to the possible contamination of the meat which carries a significant safety risk should the meat make it into shops or restaurants. Unfortunately, poaching is highly difficult to detect and even more troublesome to prosecute. It is typically carried out late at night and in secluded areas, which presents difficulties from the beginning, and those that are found by law enforcement will often tell officers that they are lamping foxes, which is still legal in Northern Ireland. Sgt Mervyn Carlisle, one of many PSNI officers working to put a stop to poaching, is more concerned about the danger of poachers wielding firearms at night, as they cannot guarantee where the round will strike. Please ask for and retain a Police Command and Control number and record the date reported to police. NEVER approach suspects yourself. If you are aware of anyone who is involved in poaching or who is buying illegally taken game please notify your local police or contact Crimestoppers.